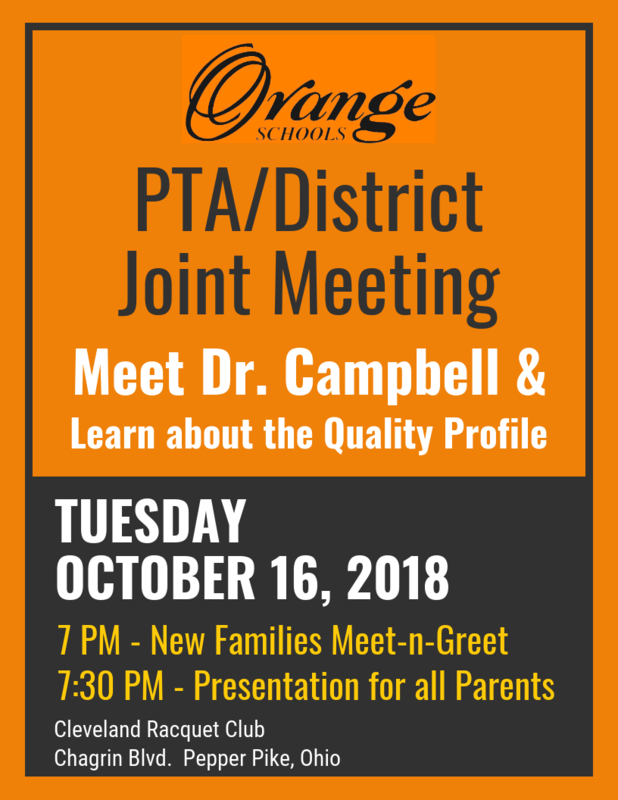 On October 16, 2018, the Orange Schools PTAs will host a Meet-and-Greet for families new to the Orange City School District at 7 p.m. and a District/PTA joint presentation for all Orange Schools parents from 7:30 p.m. to 8:30 p.m. This event will take place at the Cleveland Racquet Club, 29825 Chagrin Blvd, Pepper Pike, Ohio. Meet our new superintendent Dr. Lynn Campbell and learn about the Quality Profile of the District.